I’ve been blogging about education without much of a break since 2005, going on a decade. Before that, for years I was in many forums, list servers and groups talking about education and writing replies that were much like blog posts. I’ve seen and experienced a lot in the realm of blogging. Since I’m right now self-reflecting on my own future as a blogger, stepping back to jump farther forward, I thought I’d detail a little about why I blog. Find at the end, some of the other posts where I’ve already touched on this subject. Note: all of us “bloggers” have a little of all these orientations within us. Some stronger, some weaker. All of these mix and mingle with each other. My divisions are just that, “convenient” and one way to draw a circle around reality (however failing). None of these orientations are more important than the others, we all have our own reasons for the ratatattat of our fingers and brains that becomes text, video, sound – a blog. Why do I (and we) blog …….? A formative goal of all educators is to become and improve as a reflective practitioner. That’s one of the ways we improve, develop, grow as a professional. We review, we think, we assess, we make changes, we test, we improve. And so the circle continues. One way to do so is through blogging. There is something about the process of organizing one’s thoughts, communicating what you think and feel about a subject, something about this private conversation with oneself that “clears the air” and brings in light/knowledge. I never really ever have a hard time writing about a topic. Why? Because all the hard work is the thinking, the digesting and thinking that precedes the blog post. It sits with me an afternoon, a day, a week. Sometimes more. Then finally after many times in my head during a cycle, a run or on the toilet or just laying in bed or reading – it pops out and something new is born. I’ve grown, I’ve become more …….. The advent of more communicative “Web 2.0” technologies has brought blogging out of the closet and allowed so many to connect to so many more. Through blogs, comments, friending, micro blogging, we can connect with fellow educators the world over. It’s a marvellous and miraculous thing, sharing your thoughts, getting comments from others and becoming “community”. I blog to connect with others and share what I’ve learned during my years. Blogging is really like a slow, very slow conversation (and in being slow, one can savor it so). As such and as “slow”, it is very human and bonding. We savor the communication and comradery of others and it brings us back, to once again start anew, the conversation. There is something so motivating to me, to be able to share and make a difference in the lives of other teachers. Maybe it is just my altruistic bent, I don’t know. However, I think there is a bit of this in all of us, the need to “keep what we give”, the need to share and nurture something more than just ourselves. And isn’t that what teaching is all about? To be more than just a captive mind? This is a tricky one but a powerful one. I say “tricky” because the ego can be a very addictive thing. We can like Dorian Gray, fall in love with our own words, our own “blogging selves” , the likes, the mentions, the comments. We might start blogging more to “get a buzz” than to really share, grown, nurture, instruct. I’ve seen it happen and see so many bloggers fall into the lake while looking at their own blogger image – posting stuff just to get clicks and visits, posting in desperation of being noticed and applauded. This isn’t all bad. It can really be motivating but you have to keep it in balance, remind oneself what it truly is all about. Influencing, teaching others is great but don’t let it go to your head. Let the audience decide who is the expert and the worth of your words and self – they put the crown on your head, not you alone. I’ve been energized as a blogger through a healthy dose of “ego” and my own wish to influence others and declare, to voice and say, “This is me, the teacher, here I am!”. Blogging gives us “voice” and identity and this is of necessity, it sustains us. 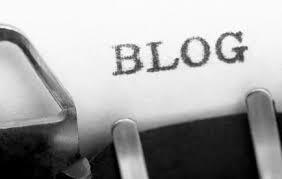 However, it shouldn’t be the only thing or even the dominant reason why one blogs. But it would be interesting to hear from other bloggers about this contentious point – how has your identity as a blogger been a help or a hinderance? I blog to serve, just like why I teach. Sure you have to pay the bills but there are next to no bloggers who make their money blogging (and don’t believe anyone who tells you otherwise – they are like gamblers who never count their loses and always think they are in the black, only remembering their wins). We do it to help others, in service. It is a vocation and a state of mind that wants to give and to serve. I see all the time, many bloggers start up with furious energy. Post after post each day. Then, baaaam, nothing, it’s over. Why? Probably a multitude of reasons but the most common is that they were doing it for the wrong reasons. Deep in their heart, it was about something other than service. Finally the deck of blogging cards fell, there was no proper foundation. To help, to serve is the key to longevity in blogging, most definitely. But don’t think you have to be Mother Teresa to be a blogger. You don’t. But you do have to have a little light burning within you that says, “I’d do this even if nobody were reading and nobody commented or clapped”. This is a not so obvious reason but one that is very valid for many a blogger. It is sparkling, motivating to each day, each week, post on a subject and catalog it. Make a living, wordy inventory of your own mind. Collecting is a passion and human trait within us all and no less so the collecting of ideas, of words, of writing. It is rewarding to look back after a year or two and see your blog posts sitting there, still shining in their own way, still representing who and what you are. Still able to give you insight and acting as a beautiful reference to those things you made part of yourself and learned tacitly but have now forgot. I could add other orientations: money, career, personality, curiosity, professional development, competition etc….. But I think these I’ve listed cover most of these, even if I’ve been remiss in detailing how. But really, I blog to blog. I’m not being cryptic. I blog because I enjoy the ratatattat of my brain and keyboard. It has become like coffee for me. A good friend that takes me into a very amazing, always overwhelming, special world of being a teacher. That said, why do you blog? 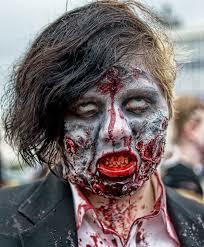 The Top 5 Blog Turn Offs Is Long Form Dead? 7 years of blogging, no slogging Blogging: What Set You Off? 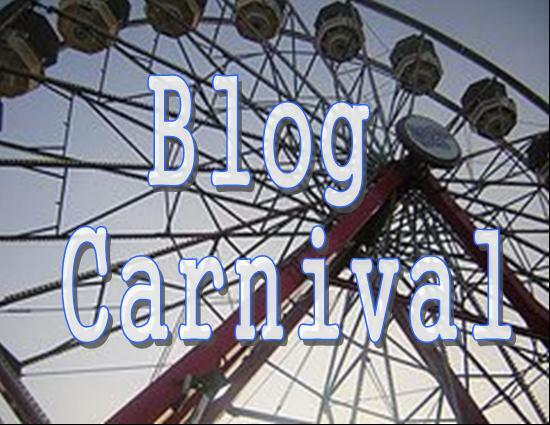 The next blog carnival – FUN! That’s a great reason. One problem with it though, at first we must keep our expectations fairly low. It will take time for people to find you and for more people to benefit from your generosity and give you feedback to keep you motivated. The best blogger “sharers” are very patient and have what I call “online endurance” and keep at it long enough to be successful. I blog mainly to feel like all the time I spend on my lessons isn’t wasted on, say, just 45 minutes with just one student. Don’t get what you mean? I write a minimum of 2 or 3 blog posts a week. Comprehensive, not just throw up a photo,video or worksheet. Yes, on this blog, not posting as much. This is where I post more serious stuff and given I’m writing a book and because of damn contractual handcuffing, can’t share that writing. But on my other blogs to mention just two EFL Classroom and EnglishCentral, lots of posts. I know you blog elsewhere, just a silly joke based on what people who came here first might think (hence the smiley). Sorry for the misunderstanding. Part and parcel of the genre!